South Carolina Group Life Insurance is usually offered as part of your employees benefit package and covers an entire group of people. Policies are not based on an individual's lifestyle habits or health factors but the employees are grouped together and rates are based on the risk of the group as a whole. The coverage costs are usually much less than if the employee purchased an individual policy. The advantages to an employer offering Group Life insurance in South Carolina include Federal income-tax deductible premiums, fringe benefits to offer new employees and valuable life insurance protection provided at a low group rate. It also contributes to employee security, loyalty, and higher morale and reduces employee turnover, saving your company money in hiring and training costs. Group Life from Wannamaker Agency can be purchased in Term Insurance or Whole Life Insurance. 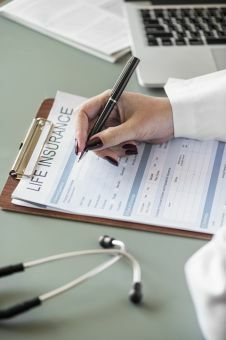 Term Life is the most common and cost effect and remains in force until the employment is terminated or until the specific term of coverage ends. The employee has the option of converting the group coverage to an individual policy when leaving employment but the premium tends to be much higher than those available to individuals. As a employer, you are aware of the importance of a good comprehensive benefit package and its contribution to business success. Wannamaker Agency trained agents can help gather the information needed about your business, employees, and objectives to find the best group life plan for your employees.